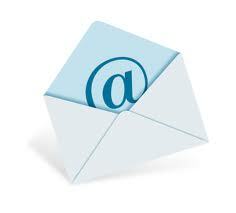 We can send by Courier to: Botswana, Zimbabwe, Swaziland, DRC, Zambia, Namibia , Cape town, JHB, Pretoria, Gauteng. 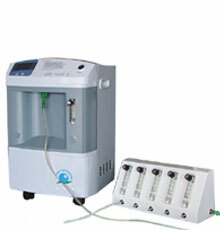 www.icmsa.co.za Medical Oxygen & Respiratory 011-312 4814 011-312 3393 Only if land line not working call 0606107549. 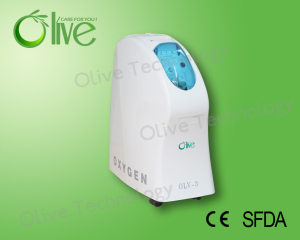 Oxygen concentrators are electrically-operated devices that concentrate the oxygen content of normal room air to approximately 90% at flow rates up to 5 l/min. Concentrators are convenient, cost-effective, do not require refills and are aesthetically attractive. 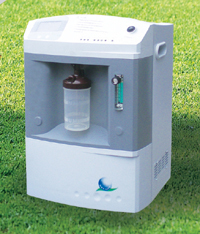 Of all the delivery systems used by oxygen-dependent patients, oxygen concentrators are the most common and usually the most economical method to provide oxygen therapy at home. Because concentrators operate solely on electricity, it is critical that they are always supplied with a backup cylinder to ensure uninterrupted oxygen supply, even during power failure. Very important: Please do not ask any info about this machine till you have one of above machines at home and tell us what litre per minute you set the machine. incl carry bag and trolley. 2.Small size & light weight. 4.High efficient filters keep away most impurity and bacteria. 5.Suit only for out of the house operation. 6.Heat balance system ensure longer life span. 7.Easy to operation. One switch control/Remote control. This one does not have battery and is 220 volts if you install inverter on the can work inside the car as well but not at time of walking. 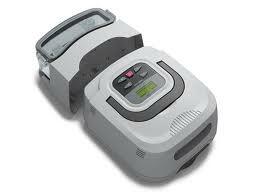 Inverter that you can install in your car for this item R995. If you one with battery only choice is the bottom item. 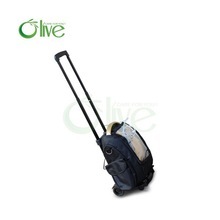 1.It is portable oxygen concentrator with PSA technology. but inverter and battery not provided. Only the two bellow items can be used with batteries. The following machines can only be used a few hours a day and can not replace big machines. Before we give you quotation should inform us that you have already a big machine at home. Also we need to know how many litres per minutes oxygen you are using at present. If you want claim it back from Medical aid we can supply you NAPPI code and you can use your doctor practice no. icm@lantic.net If you do not print the Direction to our office you shall have difficulty finding us. The most essential step in conventional and natural treatment plan for COPD is the same — stop any and all forms of smoking. Yes, this includes the electronic cigarette. If you smoke, this is the only way to keep COPD from getting worse. There are techniques for breathing that can help you breathe more efficiently with COPD. These breathing techniques can also help improve breathing for people with asthma as well as people who don’t currently have lung issues but want to optimize their breathing. According to the American Association for Respiratory Care, pursed-lip breathing and diaphragmatic breathing may increase your blood oxygen levels and help reduce shortness of breath. (4) A respiratory therapist can be very helpful if you need assistance with breathing techniques. A healthy diet can help manage and improve COPD symptoms. Some foods in particular should be mainstays when it comes to an anti-COPD diet while others should be majorly or entirely avoided. Your diet should definitely have plenty of fresh vegetables and fruits to ensure you’re getting lots of vitamins, minerals and fiber. Citrus fruits are especially helpful because they contain quercetin. Wild-caught fish, flaxseeds and chia seeds, along with other omega-3 foods, can provide anti-inflammatory omega-3 fatty acids. About 40 percent of people with COPD experience high levels of depression and anxiety, which makes it even more difficult to quit smoking and comply with treatment. Exercise also increases endorphin levels, which improves mood, reduces depression and anxiety, and makes it easier to quit smoking. Ginseng is an herbal supplement that improves lung function and also decrease bacteria in the lungs. Panax ginseng in particular has a long history of use in Chinese medicine for respiratory conditions, including asthma and COPD. 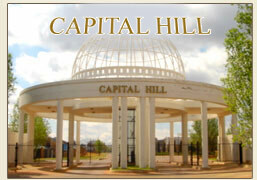 Another environmental hazard to avoid, especially if you have been prone to respiratory infections, is large crowds. Since respiratory infections can cause COPD symptoms to worsen, the less you’re in big crowds the lower your risk of being exposed to infectious germs. By no means am I encouraging you to be a hermit and never go to a mall again — I just want you to be smart and not unnecessarily put yourself in situations that could make your symptoms any worse. If you suffer from COPD, you should make time every day to relax both mentally and physically. Try some of these natural stress relievers to start. In a 2015 study looking at 167 participants diagnosed with COPD, more than 60 percent of participants reported cleaning supplies as a trigger for COPD symptoms. More than 50 percent of participants reported trouble after being exposed to perfumes, scented candles or insect spray. About 50 percent reported hairspray as a problem for their COPD. (14) By using natural DIY household products, you can avoid chemicals and improve your COPD symptoms. According to the CDC, smoking accounts for as many as eight out of 10 COPD-related deaths. However, as many as one out of four Americans with COPD never smoked cigarettes. A hallmark symptom of COPD is shortness of breath that gets worse over time. It’s often accompanied by a phlegm-producing cough and episodes of wheezing. Typically, the first symptoms of emphysema occur in heavy smokers in their mid-50s. Shortness of breath occurs with chronic bronchitis, but it may not be as severe during rest as it is in people with emphysema. Classic symptoms of an asthma attack are coughing, wheezing and shortness of breath (dyspnea). People with chronic asthma can get airway obstruction that makes them more likely to develop COPD. Approximately 40 percent of those with COPD experience high levels of depression and anxiety, making it more difficult to comply with treatment and quit smoking. Women were more likely to report COPD than men (6.7 percent vs. 5.2 percent). Prevalence is lower among homemakers, students and the employed than among those who are unable to work, unemployed or retired. Prevalence decreases as income increases (from 9.9 percent among those making less than $25,000 a year to 2.8 percent among those making more than $75,000). 36.4 percent of those reporting COPD were former smokers. 38.7 percent of those reporting COPD continued to smoke. 43.7 percent of those reporting COPD had a history of asthma. In developed countries, the central cause of COPD is tobacco smoking. In the developing world, COPD often occurs in people exposed to fumes from burning fuel for cooking and heating in poorly ventilated homes. Smoking — By far, the biggest risk factor for COPD is long-term cigarette smoking. The more years you smoke and the more cigarettes you smoke daily, the greater your risk for developing the disease. People who smoke pipes, cigars and marijuana are also at risk. Tobacco smoke exposure — People exposed to large amounts of secondhand smoke are also at risk. People with asthma who smoke — The combination of asthma and smoking increases the risk of COPD even more. Occupational exposure to chemicals and dusts — Long-term exposure to chemical fumes, vapors and dusts in the workplace or elsewhere can irritate and inflame your lungs. Age — COPD develops slowly over years. The majority of sufferers are at least 35 to 40 years old when symptoms begin. Genetics — In about 1 percent of people with COPD, the disease results from a genetic disorder that causes low levels of a protein called alpha-1 antitrypsin. Alpha-1-antitrypsin is made in the liver and secreted into the bloodstream to help protect the lungs. Other genetic factors also likely make certain smokers more susceptible to the disease. In the late 1960s, the tobacco industry intensely targeted women. This resulted in a huge increase in women smoking. We are still seeing new cases of smoking-related diseases, including COPD, as women age. Women are more vulnerable than men to lung damage from cigarette smoke and other pollutants. Their lungs are smaller, and estrogen plays a role in worsening lung disease. Women are often misdiagnosed. Because COPD has long been thought of as a man’s disease, many doctors still don’t expect to see it in women and miss the proper diagnosis. COPD is the third leading cause of death in the U.S. More than 11 million people in the U.S. are diagnosed with COPD, while an estimated 24 million may have the disease without even realizing it. COPD symptoms include shortness of breath while doing everyday activities or during physical activities, chronic cough, wheezing, chest tightness, frequent respiratory infections, blueness of the lips or fingernail beds, general fatigue and lack of energy, producing a lot of mucus or phlegm, having to clear your throat first thing in the morning due to excess mucus in your lungs and unintended weight loss (in later stages). People with COPD are likely to experience episodes called exacerbations. This is when symptoms become worse than usual and persist for at least several days. There are four stages of COPD: Stage 1, very mild COPD; Stage 2, moderate COPD; Stage 3, severe emphysema/chronic bronchitis; Stage 4, very severe COPD. To naturally treat COPD symptoms, avoid smoking in every form, improve breathing, follow a healthy diet, increase water intake inside and outside the body, exercise, use eucalyptus oil, consume ginseng, take NAC, avoid cold and crowds, and reduce stress. The root causes and risk factors for COPD include smoking, tobacco smoke exposure, having asthma and smoking, occupational exposure to chemicals and dusts, age, and genetics. In addition, deaths resulting from COPD are higher in women than in men. If you do not add it to your favourites page it is difficult to find our page again.